Understanding the demands of the customers, our organization is also engaged in importing, supplying and distributing Pigment Pastes. Suitable for exterior as well as interior applications, these products are sourced from the certified vendors of the industry. Our vendors make use of high quality ingredients to formulate these pigments pastes. Also, these products are tested on different parameters of quality, before the final dispatch to the customers. We offer Pigment Pastes - for Exterior and Interior application. 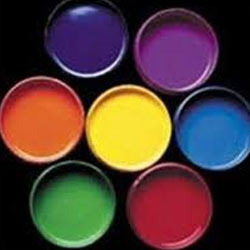 We have wide range of pigment paste with about 10 shades in Yellows, 8 shades in Red, Green, Blues, Blacks, etc.